SoCal Kitchen & Bathroom Remodels are of topnotch caliber, and are rooted in the creation of unique designs that integrate cutting-edge trends with the demands of your lifestyle. The overall result is a comfortable and truly functional space crafted by a preeminent Southern California Contractor that works perfectly for your needs. Whether you want to build new home spaces or have your existing interiors totally redone, you�re in the right place. 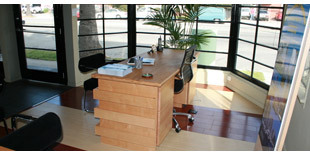 We offer the best Southern California Remodeling Services. No project is too big or too small for us at SoCal Designs, and you can be assured that our skilled team of designers and craftsmen will build you the ideal spaces you want with almost any budget. 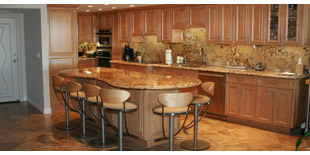 We use only the highest quality materials and have an in-house construction team known for excellent craftsmanship. 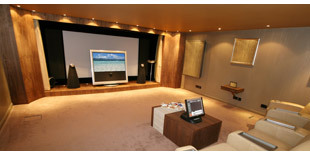 Our team can construct you a Home Theater designed for the way you live. Plus our emphasis on maintaining constant communication with clients during the construction process makes us the most efficient contractor you will find anywhere. My husband and I want to thank you for the fabulous kitchen renovation. It's such a joy to live and cook in! "What we say is what we do." At SoCal Design & Remodeling we stay true to our word. No only do we keep our personal integrity high, we also understand that the key to a successful remodeling or construction. With three offices located in Lancaster, Marina Del Rey and Burbank, SoCal Designs can service all of your construction and remodeling needs within Southern California.